The two carnivores are residents of the Bolsa Chica Ecological Reserve, a wetlands area of coastal Southern California. 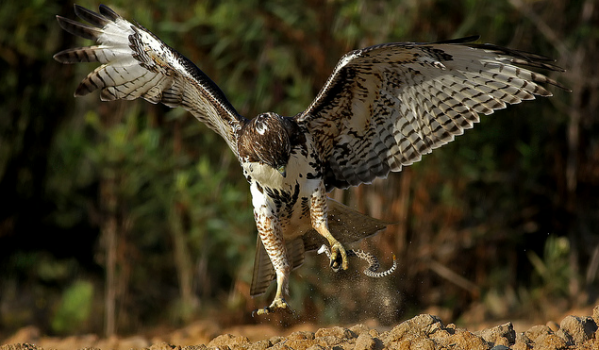 The bird is a red-tailed hawk, likely North America’s most common hawk. The snake appears to be a Pacific rattlesnake, a species known to inhabit the area. Fortunately for us, a photographer was on hand the day these two animals clashed, and these intensely dramatic images are the result.